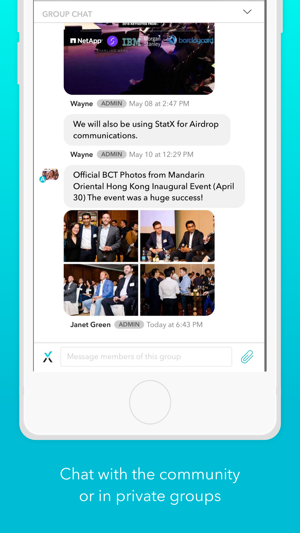 StatX is a unique platform and app that combines mobile messaging and live dashboards for providers and consumers in the crypto and blockchain ecosystem. 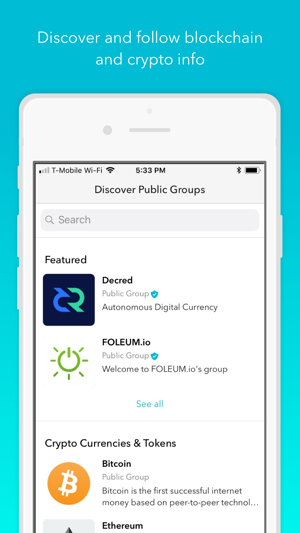 - Crypto company followers and investors: Follow live crypto data and public chat for 2000 coins/tokens/ICOs. Get information at a glance with live updates, no need to scroll through endless chat streams. Public chat is spam and scam-free. - Crypto company community admins: Claim ownership of your existing dashboard and customize. Share your URL in your social media to invite users. Easily moderate the public chat. - Blockchain creators, crypto exchanges, data listing sites: Create custom dashboards with automated feeds via StatX API. 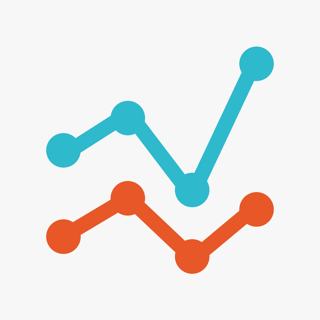 Invite your users to follow your data updates. 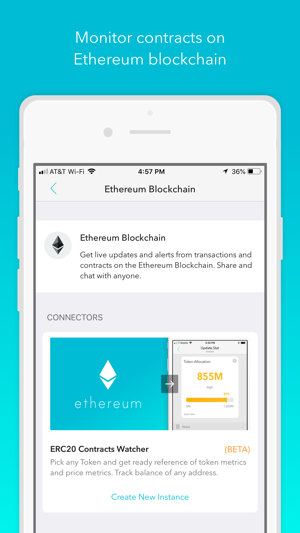 - Crypto enthusiasts: Easily keep tabs on any of 20,000+ ERC20 Ethereum smart contracts. Watch token balance of key holders to ensure no disposition. Create your own curated custom dashboard and share with friends or the public. - FREE. StatX is free to install and use for a limited number of users. See our website for pricing details. - Unique dashboard+chat interface. Chat is integrated with a dashboard of key company financial and status information that is always one swipe away. The dashboard answers the most frequently asked questions and increases the quality of the conversation. - Minimized spam and scams. There is no open API for spammers, no ability for scammers to post crypto addresses in chat, no ability for fake admins to pose as “official” admins and more. - Flexible data feeds. Data can be provided to StatX in many ways - by hand updates in app, via in-app connectors to cloud data sources, from Excel or Google Sheets with an add-in or from any external software calling the StatX REST API. 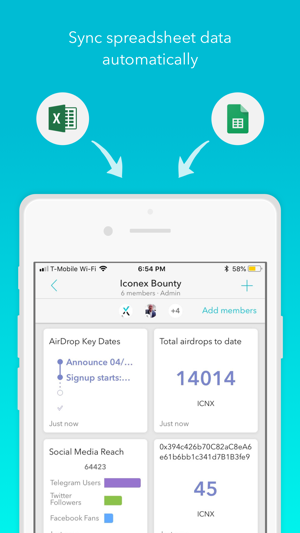 Must have app for any startup planning an ICO! 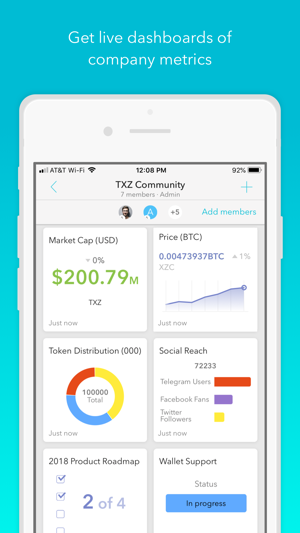 Super easy to manage your community and engage with your investors ! This is going to replace Telegram! I use email and calendar to track project status. Too often I have to check old emails, or react to calendar notice, and spend time sending the "where are we on this?" emails. This app allows me to consolidate those projects so I have them in one place and have others update me. If something hasn't been completed I can quickly nudge them for an update. It's easy to create new projects and has really simplified what was previously a painful and time consuming process. If you have others reporting to you, I recommend using this app.